One of the things I like most with making maps is when you have to decide where your different countries and cities will be placed. But how can you do this in a convincing way? Where shall you put your cities? As always we have to look at our own history and learn. 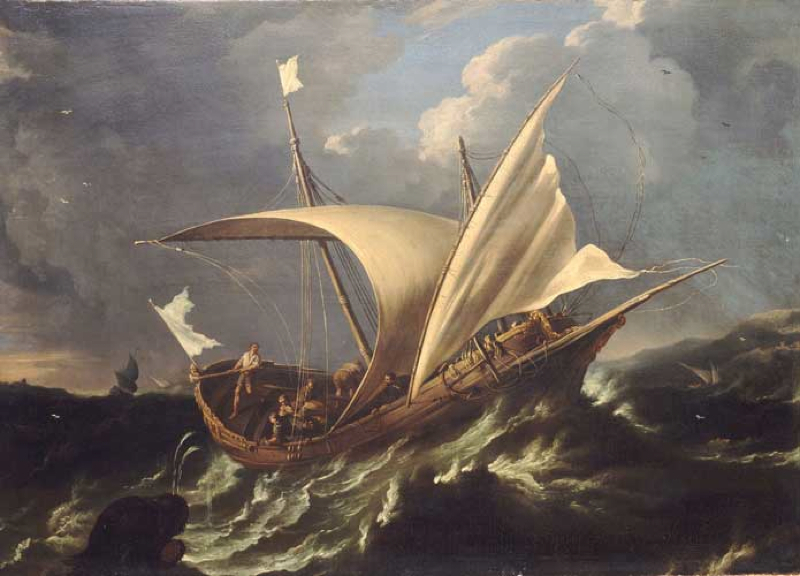 If you look back in our history nearly all early cities started out close to water. Before we had good roads waterways were the highways for travel and transportation. To be able to start up a city you needed a surplus of goods and food, so not everyone needed to work. So that some people in the community could start doing the administrative tasks to keep it all together. Living close to water made those things easier to happen. When that happens a smaller tribal village can evolve into something larger, a city, and in the end a great kingdom or empire. Of course this description is very simplified, but still you can say that this is the foundation behind the growth of a society. Maybe you have to add in things like learning to write, minting coins and technological advancements in building techniques. But without a surplus in production those other things will never kick off. So how can you use this knowledge in your mapping?. Well when I make my maps I usually wait to plot out borders for countries and their cities until all the terrain is done. 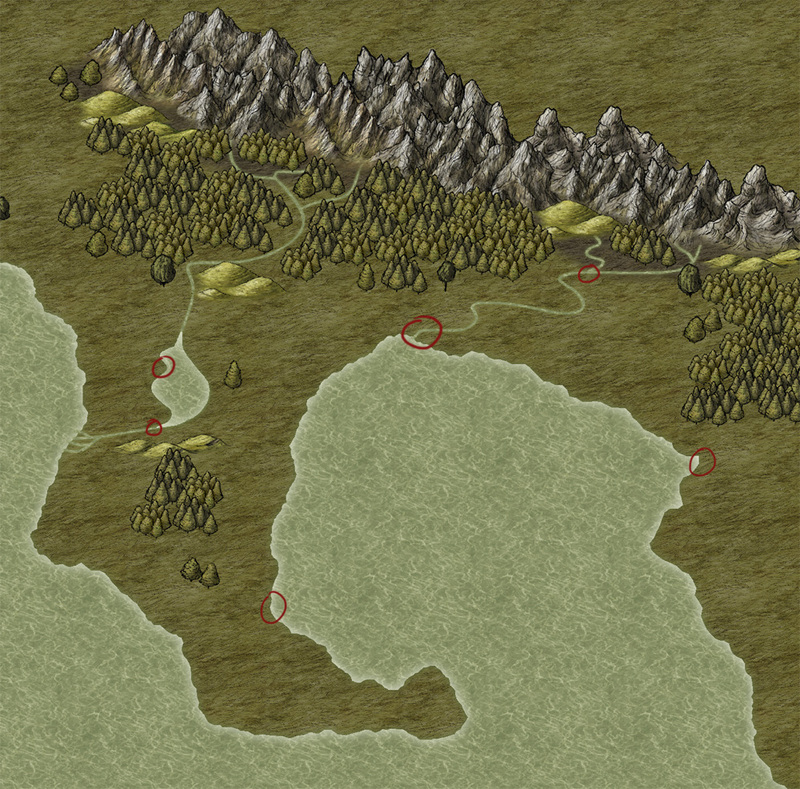 When the terrain is done I try to locate places in the map where larger cities might lie. If you look at the example map below I’ve marked out some locations with red circles. Those places are where I probably would put the larger cities in the map. But not all cities are located close to water, so where should you put the rest of the cities?. To find out this the next thing to do is to draw roads between the large cities. When you’re done have a look at the map for crossroads, crossroads are typical places for a city or town. A place where people travelling to and from different locations meet, and goods can be sold. In the example map below I’ve added some roads and cities at the crossroads. We now have a good base for our kingdom with some logically planned cities and towns. Next step is to continue adding in more towns, but this time towns that might not feel logically placed in the beginning. When a kingdom continue to evolve other more rare resources gets more and more important, like gold, silver, iron etc. Try to add towns in places close to where they can acquire resources for the kingdom. Also think of how the goods will be transported to the main towns. If you place a small town in the mountains where they mine silver and you have a river close by they would probably found another town next to the river so they easily can transport the silver, instead of transporting it all by the road. 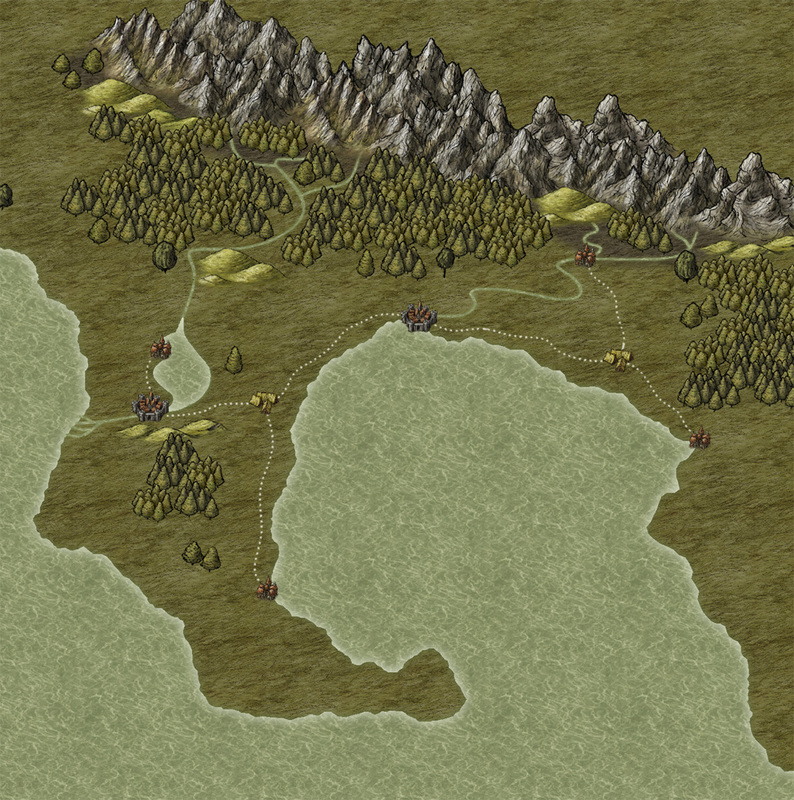 In the example map below I’ve added in some towns where they can collect resources. You can continue this way and add in more and more towns. 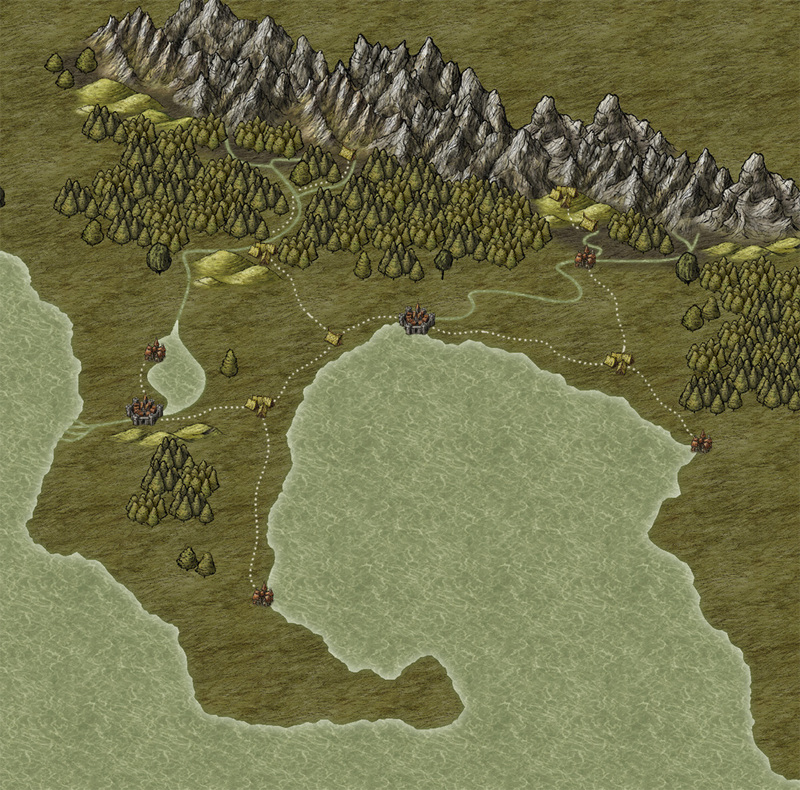 After adding the towns you add in more roads, more roads means more crossroads that leads to more towns. If you try to build up your map this way the placing of your towns will feel logical which will give you a better and more believing map. And while mapping you might even come up with an idea or two for an adventure.